Cri Cri, like the chirping of crickets on a balmy summer evening. The Cri Cri battery-powered lamp by Studio Natural for Foscarini is a real all-rounder in terms of lighting. Since the wireless lamp is battery-powered, Cri Cri can be taken wherever it is needed and hung up or set down both indoors and outdoors. 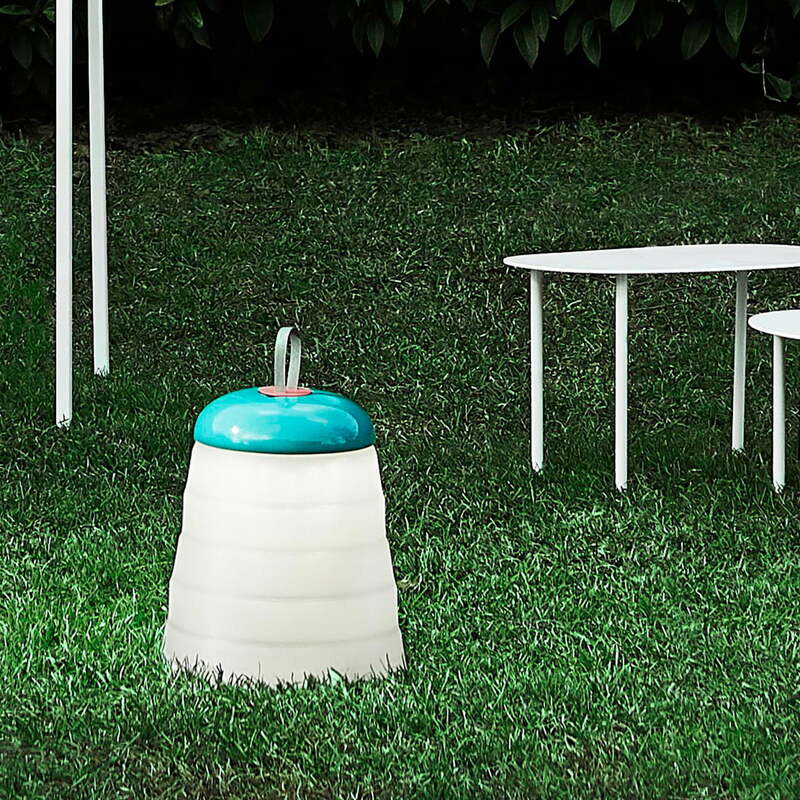 The Studio Natural lamp is made from silicone and can be folded up to be transported. Moreover, when it is no longer needed, it is stored in a space-saving way. 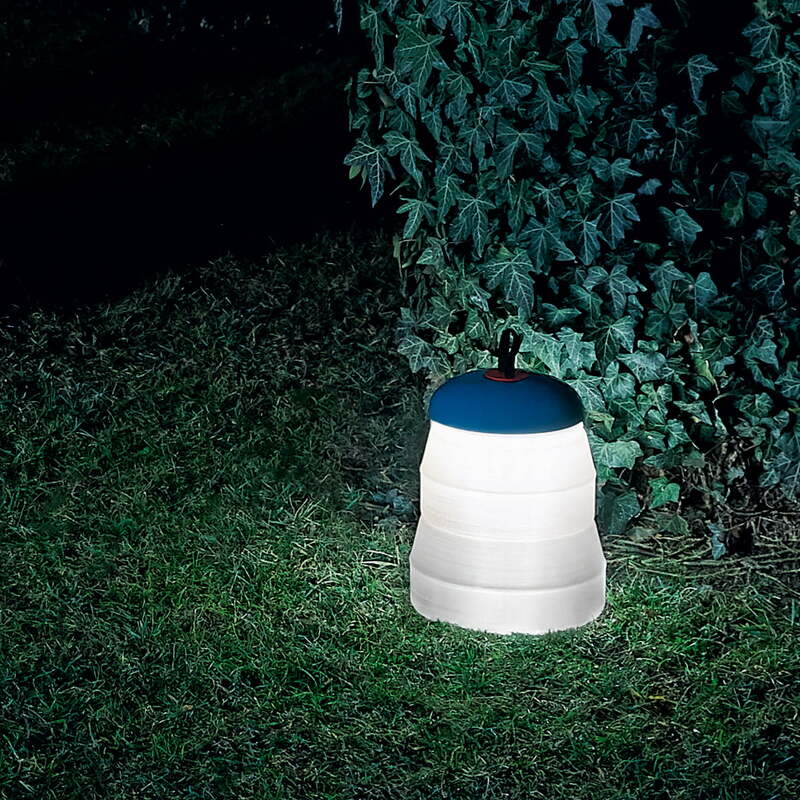 As a result, the lamp can be used anywhere to illuminate various environments, including the garden or park on balmy summer evenings as well as coming in handy when at a festival or camping. The smart LED board allows regulation of light intensity on three levels with a simple touch. The lamp can be recharged via a USB from an outlet, a computer or a battery pack. 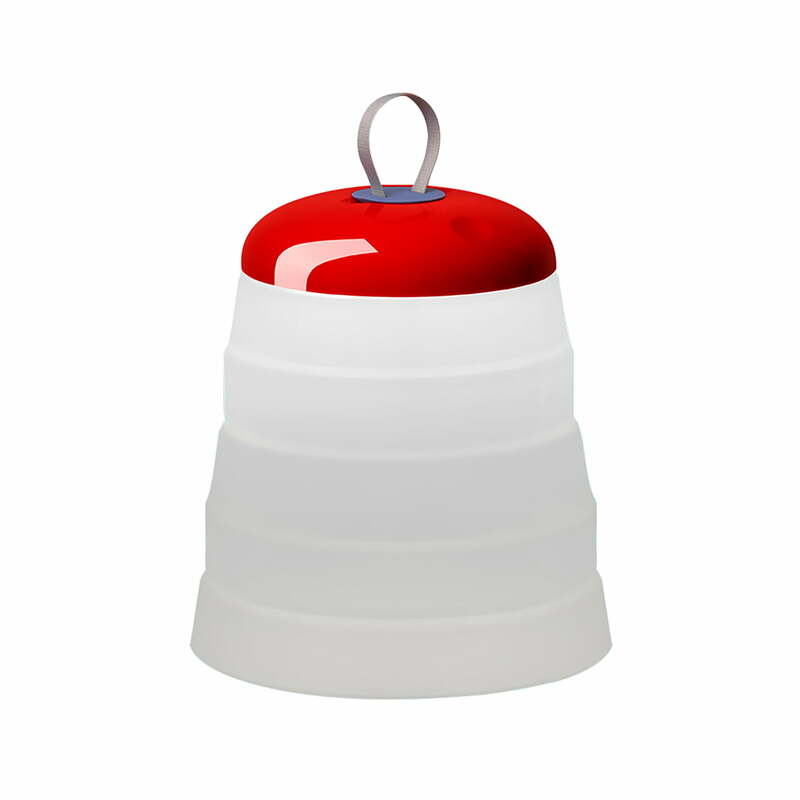 Lifestyle product image of the Foscarini - Cri Cri battery-powered lamp, red. 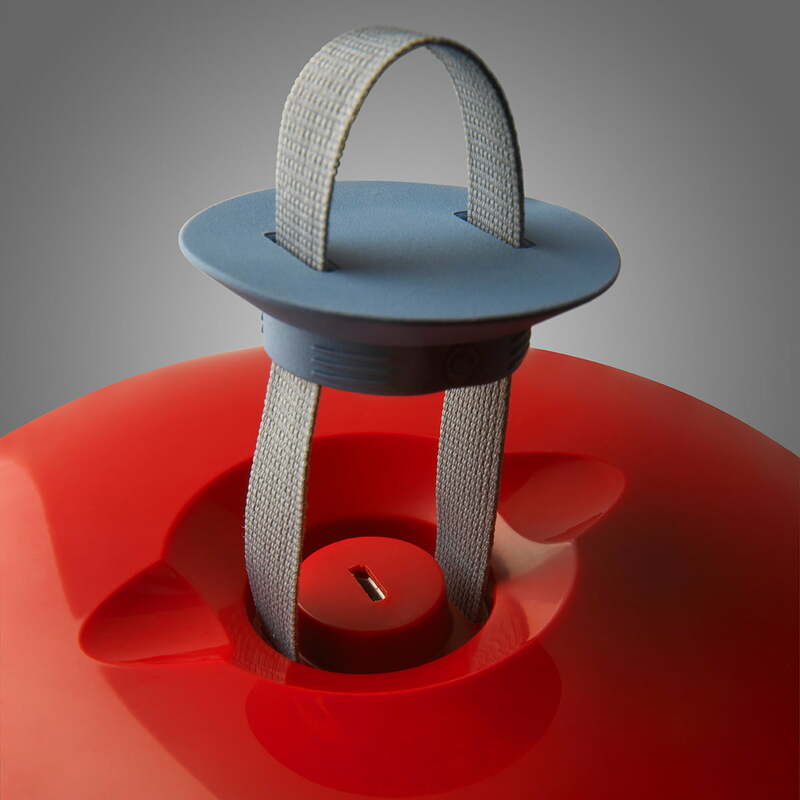 The Studio Natural lamp is made from silicone and can be folded up to be transported. Moreover, when it is no longer necessary, it is stored in a space-saving way. 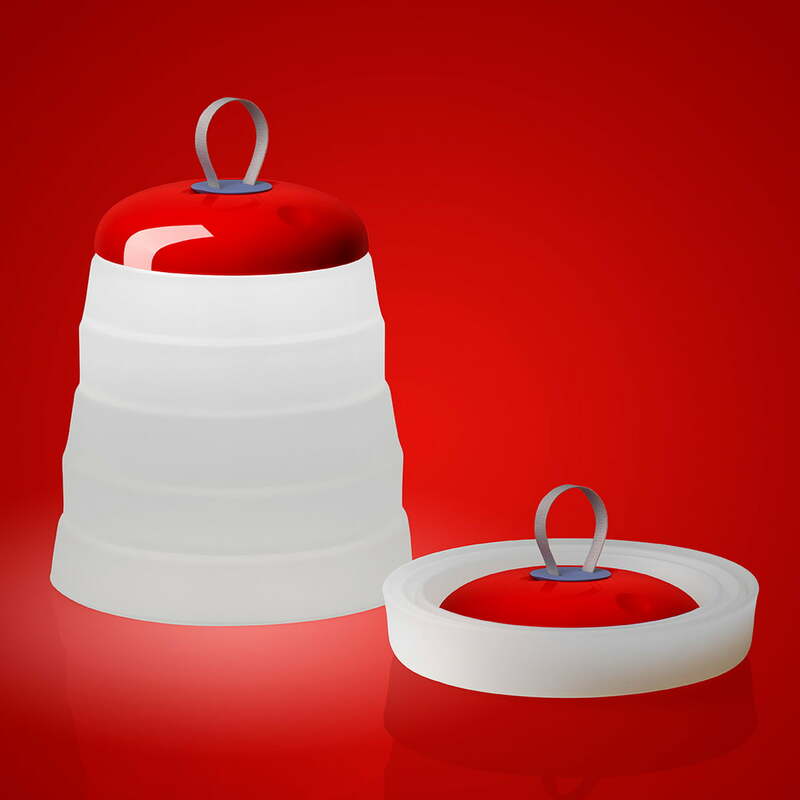 Detailed product image of the Foscarini - Cri Cri Battery-Powered Lamp, red. Thanks to the loop, the lamp body is open and closed in a matter of seconds. 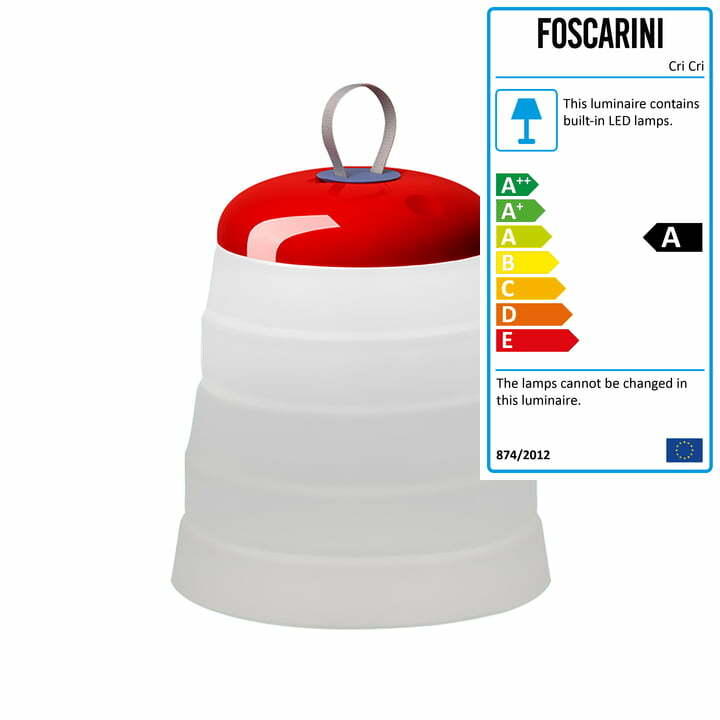 Isolated product image of the Foscarini - Cri Cri battery-powered lamp LED in green. 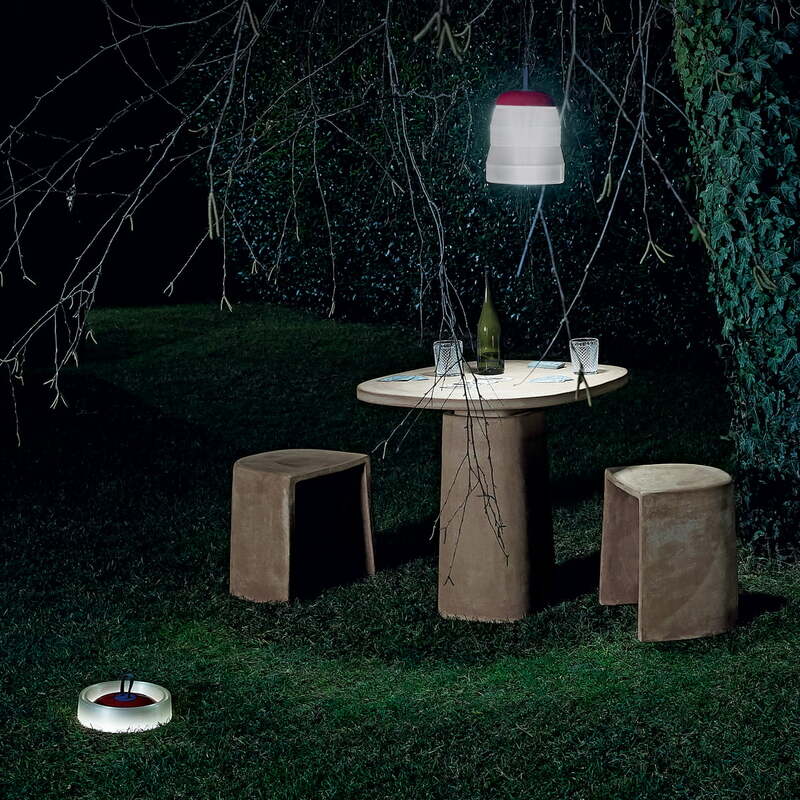 The lamp can be used anywhere and illuminate various environments including the garden or park on balmy summer evenings or when at a festival or camping. Lifestyle product image of the Foscarini - Cri Cri battery-powered lamp LED in green. The intelligent LED board allows regulation of light intensity on three level with a simple touch.